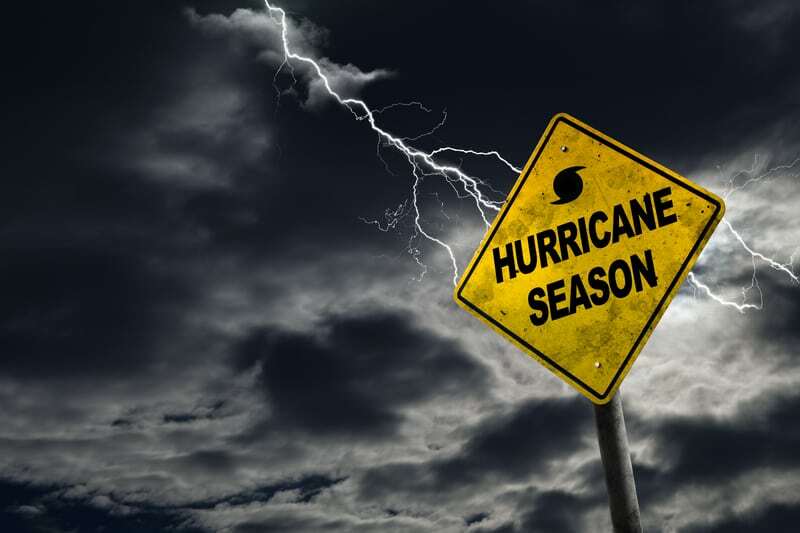 Hurricane season officially arrived on June 1, and here in Florida homeowners take the threat of a tropical storm or hurricane very seriously. 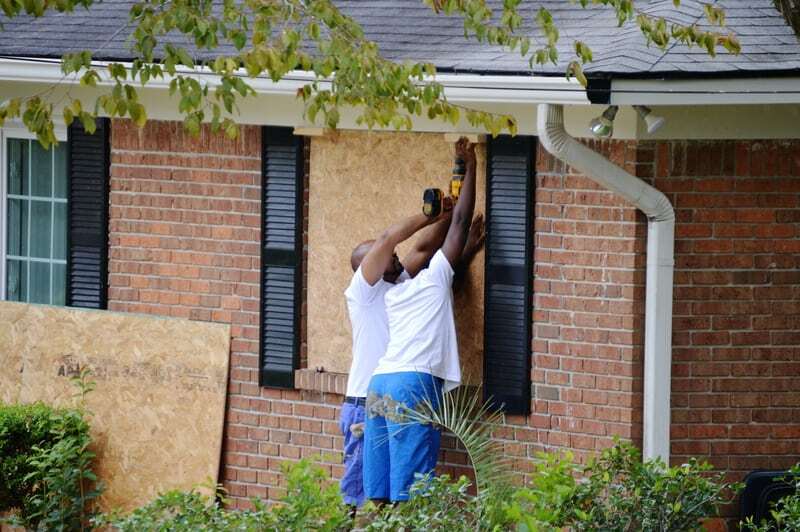 Over the last few years, Northeast Florida has been hit by very severe storms that damaged thousands of homes. Wind, flooding and tornadoes are all very real threats. But there are things you can do to prepare and protect your home before the first storm arrives. Trim trees that are close to the home and remove any dead branches or trees that could fall on a building. Cover windows with plywood or shutters. You can purchase plywood ahead of time and cut it to size. Do not use tape on your windows, as it is not effective protection. Identify a room in your home as a “safe room” in case of tornado. It should be windowless, if possible, and not have any exterior walls. Visually Inspect the roof from the ground to make sure there are no loose or damaged shingles. If something looks odd or out of place, call DUBO Roofing for help. Look inside the attic to determine if there are any signs of existing water leaks and have them repaired if necessary. Cover your air conditioner to protect it from flying debris. Use a manufacturer-approved cover to avoid trapping moisture inside and voiding your warranty. Clean out gutters and street drains to keep water flowing freely. Keep plastic sheeting or tarps on hand to cover any damage to the roof. Never attempt to get on your roof in the storm. You too, could be hit by debris. After the storm, call DUBO Roofing for help. If you live in an area that is prone to flooding, put sandbags around the house to absorb some of the water. Keep cleaning supplies on hand, including bleach, to clean areas after water recedes. Check the seals around windows and doors and replace any that are deteriorated so that no water will blow in. Check all around the base of your home to see if there are any cracks in the foundation. Repair any cracked areas to prevent water from coming in. Seal around any pipes or electrical cables come into your home. Check with your pool supply company for advice on the best way to secure a pool pump and motor. be enough to replace your home or cover the cost of major repairs. Review your deductible, as hurricane coverage often has a separate deductible amount. Know where the shut-off valves are for the water, gas and electrical connections to your home. If you do not know how to turn them off, contact your utility company for instructions. Place insurance papers, passports, and other important documents in a water-tight container and store it up high. Know your local evacuation route and have a plan so family members will know where to meet and how to contact one another. Print out this hurricane supply list from WJXT and use it to make sure you have everything you need. Print out this guide from the City of Jacksonville or the Preparedness Guide from Clay County. Prepare for your pets, too, with this guide from the Jacksonville Humane Society.